T-shirt from adidas by BAPE. 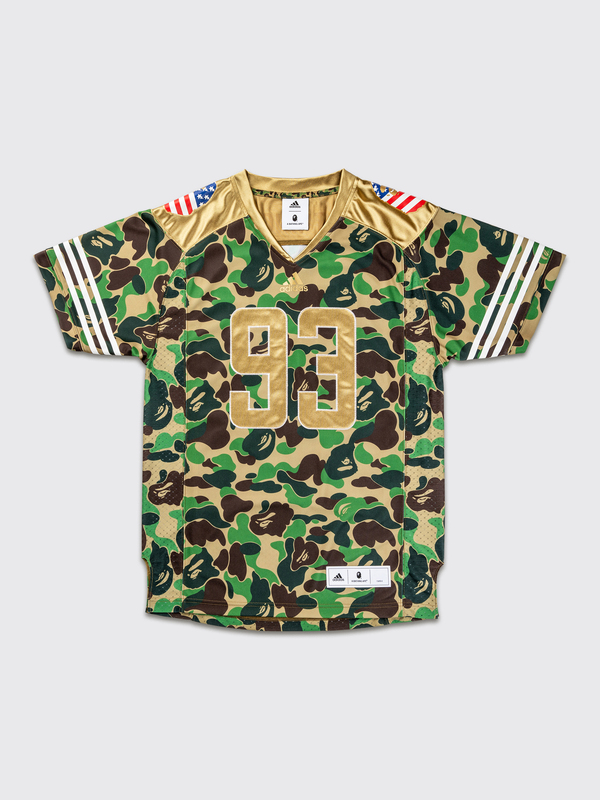 Made from an all-over Camo printed jersey fabric. Mesh panels on the sides. 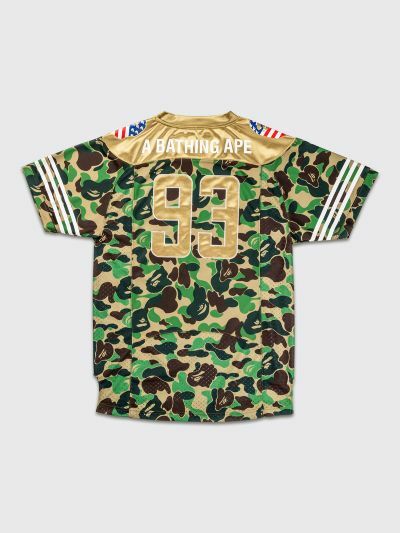 The numbers 93 one the front and back represents the founding year of BAPE. 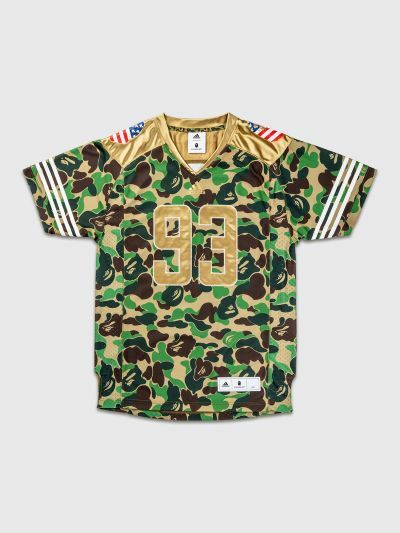 Gold colored yoke with BAPE logos and short sleeves with Adidas three stripes. Green, brown, gold and white t-shirt. Mixed fabric.